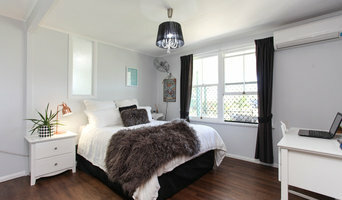 Urban Trend Construction is Mackay and the Whitsundays’ boutique builder. BOUTIQUE SERVICE, UNIQUE HOMES, ALWAYS By focusing on quality rather than quantity, we are able to maintain our position as one of the region’s leading boutique builders. It ensures our team always has the time to give you and your custom home the personal attention you deserve, from start to finish and beyond. At Urban Trend, we have built our reputation for service by always being available to our clients – a commitment that we uphold today, and always will. Your custom home project is our top priority. NOT JUST A HOME BUILDER – A RELATIONSHIP BUILDER Honesty, integrity and open communication underpin our boutique service. These are the attributes that define every aspect of our business – they are what make building with us a great experience. KEEPING YOU UP TO DATE, BOUTIQUE BUILDER STYLE In addition to providing regular opportunities to meet on-site with our builder. Our team will ensure you’re always up to date with progress, calling and emailing regularly to keep you up-to-date every step of the way. DEMONSTRATED SUCCESS At Urban Trend Construction we are proud to show prospective clients our completed projects, our client testimonials, and multiple housing industry awards. Voted No. 1 Top Builder, Building Imaginations is a Mackay owned and operated building company. Our team specialise in a broad range of home renovations, extensions, outdoor entertaining areas, and property maintenance. We are passionate about turning your dreams into a reality. We pride ourselves on our quality customer service, and our client's appreciate our full service approach to managing their projects. You imagine it, we'll build it! 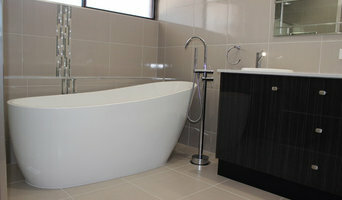 Smith & Sons Mackay North are your local renovation and extension specialists for Mackay and the surrounding areas! 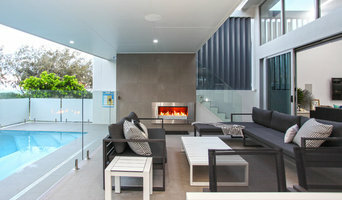 The team at Smith & Sons Mackay North have extensive experience in all types of renovations and extensions- from the old Queenslander to the modern family home. Whether you’re looking to add a storey, create a deck, upgrade your kitchen, renovate your bathroom or extend your living space- the team at Smith & Sons Mackay North can help! Smith & Sons Mackay North help clients create a home that suits their lifestyle and future requirements- no project is too big for the Mackay team! Lighting Network Mackay has been established in Mackay since 1982. After almost 30 years of long and loyal service to the growing Mackay and surrounding areas population, we decided in 2005 by moving to Wood Street that we could improve and expand our existing service and range of lighting products by moving to a bigger premises, which we did. As a result of client loyalty, increasing patronage and a growing reputation, our business became bigger and stronger that our initial expectations, establishing us today as a major retail domestic and commercial lighting outlet servicing not only the Mackay District, but also the Whitsundays and surrounding regions. As a result of our lengthy industry involvement, Lighting Network Mackay has established strong working relationships with most Australian lighting manufacturers and suppliers, as well as having access to high quality products designed and manufactured in Europe. As a result to these relationships, we are able to aim towards offering our clientele the latest fashions, innovations and trends of local and overseas markets. This aim has obviously been achieved, proven by the consistent compliments and positive reaction to our extensive range of lighting and associated products. 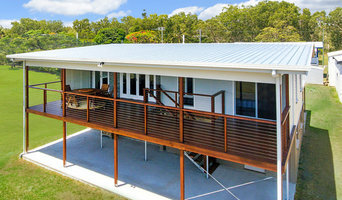 Coastal Living Homes is owned and operated solely by Craig Redman, who is a local Mackay builder with over 18 years’ experience in Mackay’s building industry. A personalised service He specializes in providing personal and professional service to his clients. From the first contact, all the way through the design stage, pricing, construction and handover – clients deal directly with the builder from start to finish. 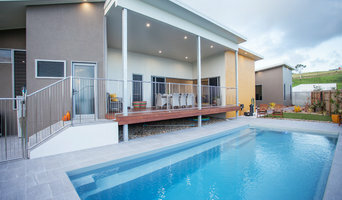 Being a local Mackay builder, Craig builds homes to suit the tropical climate of Mackay, making use of eco-friendly design features to enhance energy efficiency. What you see, is what you get At Coastal Living Homes, clients know exactly what they are getting for their money. 'What you see is what you get.' There are no gimmicks, no hidden or unexpected costs to catch people off guard. Our approach is honest and direct, which provides peace of mind for clients and makes it easier for us to complete the homes to the highest standards and in accordance with your expectations. Coastal Living Homes can design and build homes from entry level homes through to luxury dream homes, as well as to suit any block size from 12 meter wide frontage through to the largest blocks. We can help clients make the best use of the land they have by incorporating design features into the home that are functional and versatile. We’ll work on the design with you so we can sit down and create a home that suits your lifestyle, budget and personal requirements. If you can dream it, we can build it! At Leaf Wood Rock Landscapes, we are focused on delivering exceptional customer service and we will do our best to meet your expectations. We are more than just a landscaping company, we are a one-stop-shop for all your individual needs. With a diverse range of services, we can transform your yard or home into a beautiful retreat. See our full range of services and latest projects in and around the Mackay region. With over 10 years experience Ryan’s attention to detail and pride in his craft has seen the demand for R and R Cabinetmaking’s workmanship increase year on year. Since opening his own successful business in March 2008, Ryan’s quality of work has lead his company to win many awards including the prestigious Kitchen of the Year 2015 and Best Kitchen Renovation in the $20,000 – $100,000 category. He continues to work with Mackay’s finest builders and businesses alongside his private clients in North Queensland encompassing Mackay and surrounding areas from Airlie Beach through to Rockhampton and as far west as Emerald. Ryan’s friendly and welcoming nature coupled with his quality of workmanship are the valued assets he proudly showcases. Reach out to multiple professionals — especially for larger projects — and don't settle for the first bid you hear. Comparing multiple Mackay, Queensland professionals' bids and experiences can help you find the one that’s best for you. Ask a lot of questions now, so you won't have unexpected answers later. Find a home design professional: Narrow down your search by type of professional and location. Browse Mackay, Queensland portfolio photos, read client reviews and contact each Mackay, Queensland professional for more information. Check out the information in the specialised professional sections too for tips on how to hire the right professional in Mackay for your project.